The research work involves the fabrication and testing of a Germanium/	silicon–germanium (Ge/SiGe)-based thermoelectric generator (TEG) module so as to determine its power generating capacity and thermal efficiency. 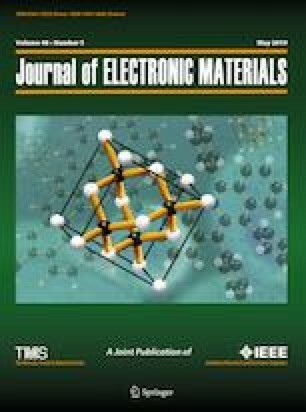 The Ge/SiGe-based material is a nano-fabricated 2-dimensional Ge/SiGe superlattice that can be doped to obtain either p-type or n-type thermoelectric materials. A p-type and n-type Ge/SiGe heterostructures material was used to fabricate the p-n Ge/SiGe-based thermoelectric generators. Two sets of devices with similar design, but differing in dimension, were fabricated for testing purposes. Both devices had a temperature gradient created across the device in order to generate a Seebeck voltage. Two sets of temperature and voltage measurements were taken: one for open-circuit and another for closed-circuit connections. The experimental measurements of the Seebeck voltage were used to investigate the power generating capability and efficiency of the Ge/SiGe-based TEG module. It was observed that the smaller device performed better. This was attributed to the small contact resistance of 1.64 Ω, which was obtained for the smaller device, as compared to the larger contact resistance of 4.688 Ω for the bigger device. This behaviour is in line with theory and thus suggests that making smaller devices down to the micro- and nanoscale level yields better performances. jwnc.gla.ac.uk. Dry Etch. http://www.jwnc.gla.ac.uk/downloads/etching.pdf. Accessed 12 May 2015.
jwnc.gla.ac.uk. Dry Etch. http://www.jwnc.gla.ac.uk/etch.html. Accessed 25 May 2015.